Antonio Cassano days as a Sampdoria player could just last in a few weeks time especially when the club’s demand of terminating his contact came true, this condition gives the player every reason to start looking for a new place in January. After series of media speculation, Cassano himself has finally hinted at the possibility of his future naming few cities that he’s considering to be his next destination albeit he’s determined in staying in Genoa. “I may change club, but will stay in this area, maybe even at Genoa. I’ll think of a city where it is easy to travel to Genoa, such as Parma, Milan, Florence or Turin,” Cassano stated. Although considering of a move to the clubs that resides on those cities, Cassano obviously doesn’t want to move far from his current place as he’d actually hope to stay and still play for Sampdoria despite all of the current mess. The trequartista’s consideration to play for Sampdoria’s city rival, Genoa, pretty much sums up his determination in staying put from his current living area or at least playing close from his current city. 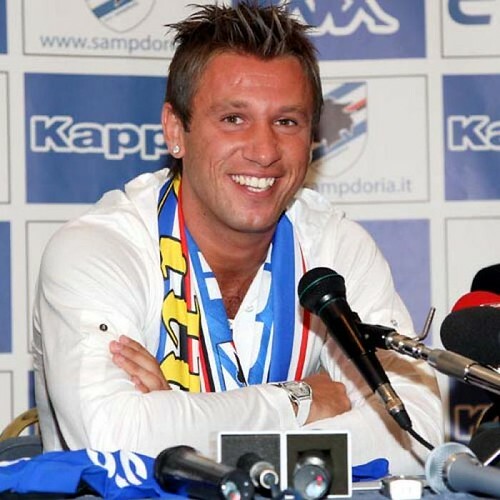 The player’s reason in staying close to his current living area is pretty much connected with the fact that his wife is currently pregnant with their first child, as a family man, Cassano is determined to spend as much time as possible with his wife. That decision is also being rumored to be one of the reason for his dispute with Sampdoria’s president Riccardo Garrone, leading to the current messy situation that the player’s currently having. Looking at Cassano’s recent statement of possible cities that he would consider, surely the clubs that would have the chance in acquiring the players signature are the likes of Parma, Inter, Ac Milan, Fiorentina and Juventus. That hint also automatically erased the chance for foreign clubs such as Manchester City or Liverpool to sign him next January as the player only prefers to play close with his current living area and doesn’t seems keen on flying abroad.